Alzheimer’s disease (AD) is an immutable neurodegenerative disease featured by the two hallmark brain pathologies that are the extracellular amyloid ß (Aß) and intraneuronal tau protein. People carrying the APOE4 allele are at high risk of AD concerning the ones carrying the ε3 allele, while the ε2 allele abates risk. 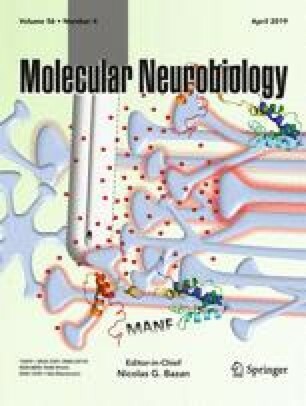 ApoE isoforms exert a central role in controlling the transport of brain lipid, neuronal signaling, mitochondrial function, glucose metabolism, and neuroinflammation. Regardless of widespread indispensable studies, the appropriate function of APOE in AD etiology stays ambiguous. Existing proof recommends that the disparate outcomes of ApoE isoforms on Aβ accretion and clearance have a distinct function in AD pathogenesis. ApoE–lipoproteins combine diverse cell-surface receptors to transport lipids and moreover to lipophilic Aβ peptide, that is believed to begin deadly events that generate neurodegeneration in the AD. ApoE has great influence in tau pathogenesis, tau-mediated neurodegeneration, and neuroinflammation, as well as α-synucleinopathy, lipid metabolism, and synaptic plasticity despite the presence of Aβ pathology. ApoE4 shows the deleterious effect for AD while the lack of ApoE4 is defensive. Therapeutic strategies primarily depend on APOE suggest to lessen the noxious effects of ApoE4 and reestablish the protective aptitudes of ApoE. This appraisal represents the critical interactions of APOE and AD pathology, existing facts on ApoE levels in the central nervous system (CNS), and the credible active stratagems for AD therapy by aiming ApoE. This review also highlighted utmost ApoE targeting therapeutic tactics that are crucial for controlling Alzheimer’s pathogenesis. The authors are grateful to the Department of Pharmacy, Southeast University, Dhaka, Bangladesh. The authors wish to thank the anonymous reviewer(s)/editor(s) of this article for their constructive reviews. This work was carried out in collaboration between all authors. MSU and GMA designed the study, wrote the protocol, and managed the analyses of the study. MSU, MTK, and AAM prepared the first draft of the manuscript. MMA-D, GEB, and GMA revised and improved the first draft. All authors read and approved the final submitted version of the manuscript. The authors received no financial support for the research, authorship, and publication of this manuscript.